Maintaining enthusiasm on the job day after day is not easy for employees or management. Perhaps your manufacturing company is unknowingly suffering from the dimmer switch effect which produces a culture of disengagement and lethargy. 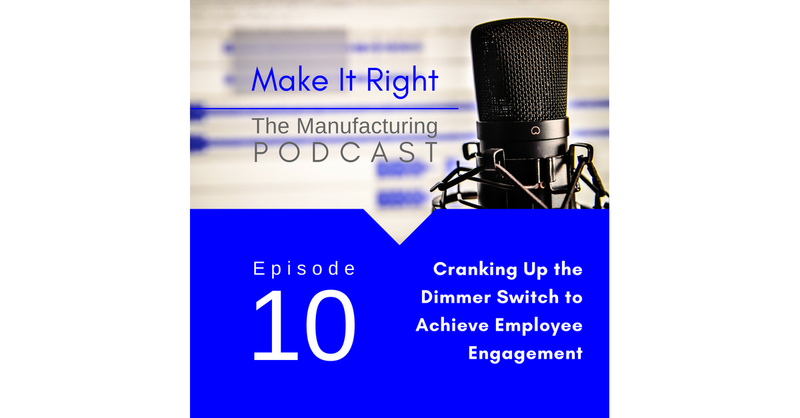 On this episode of the Make It Right podcast Kevin Snook provides insight on how to “crank up the dimmer switch” and re-energize your employees.